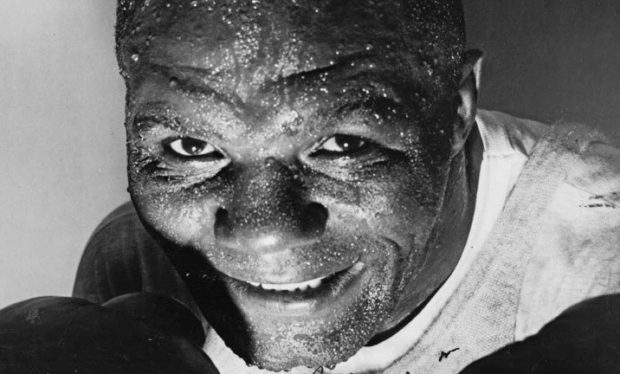 If James Braddock is “The Cinderella Man,” then what do we call Arnold Cream, aka Jersey Joe Walcott? Braddock’s story of perseverance in the face of seemingly insurmountable odds eventually inspired Hollywood attention, but no movie has been made about Cream and his equally improbable triumph, perhaps because Walcott’s tale strains credulity to the breaking point. In truth, Jersey Joe’s story rates as even more exalting than Braddock’s when one factors in racial inequality in America before the Civil Rights movement, as well as the number of times Walcott had been written off by the pundits of the day. For years he couldn’t catch a break, in part because he was black, but also because Jersey Joe was perceived as a no-hope journeyman, a perennial contender, who couldn’t, and wouldn’t, make the big time. 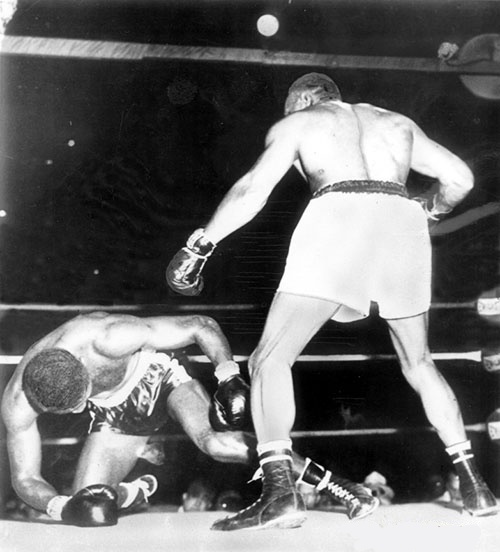 Walcott drops Louis in their first fight in 1947. 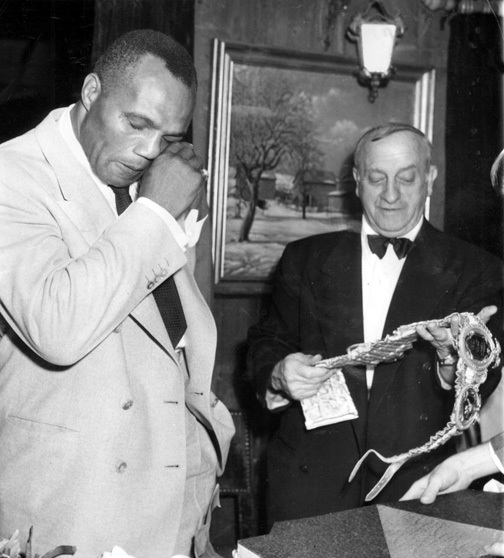 When he finally did get a shot for the title against “The Brown Bomber” in 1947, it was a double shock, first for his outclassing the great Louis, and then for not getting the decision he so obviously deserved, the verdict one of the worst in heavyweight history. 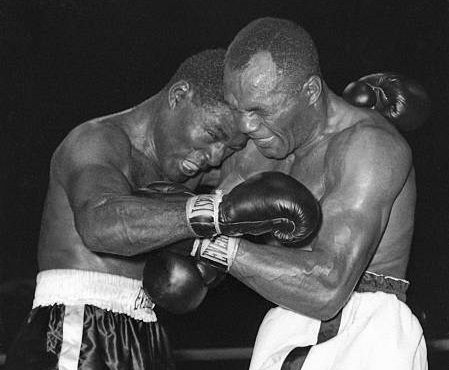 But Louis knocked Walcott out in the rematch, and Jersey Joe went on to lose two more tries for the title against Ezzard Charles in ’49 and ’51, confirming the general feeling that there were some for whom fortune would never, ever smile. But while time and again the public thought they had seen the last of Walcott, Jersey Joe was nothing if not resilient. Heartbreaking setbacks were nothing new to him; he’d dealt with them his whole career. 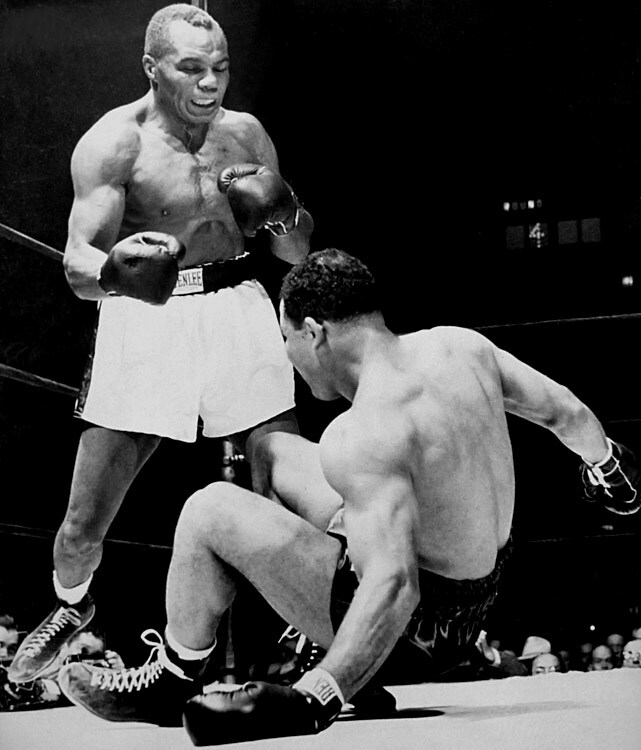 Ezzard and Jersey Joe battle in their second meeting in Detroit in 1951. Space does not allow for a detailing of all the misfortunes, crooked managers, and broken promises Walcott endured after he turned pro in 1930. Suffice to say by the time the winter of 1944 rolled around, Walcott, living with his family in a dilapidated shack in Camden, New Jersey, had quit the fight game for good. He had already retired at least half a dozen times before that to concentrate on steady work that didn’t threaten to drive him insane, such as hauling garbage or working in the shipyards, but this time it looked like it would stick. Joe had had only two fights in four years, now had six children to feed, and he lacked any kind of representation, no manager or promoter who believed in his talent. A New Jersey-based matchmaker looking to develop a local heavyweight attraction in Camden, Marsillo approached Walcott and started talking up Joe’s talent, reminding him of his ability, his natural caginess, that slick move he had of walking away from an opponent before turning and ambushing him with a heavy right hand. But Walcott had heard it all before, had been sweet-talked many times by managers who eventually left Joe high and dry. Words alone weren’t going to get Walcott out of retirement this time. 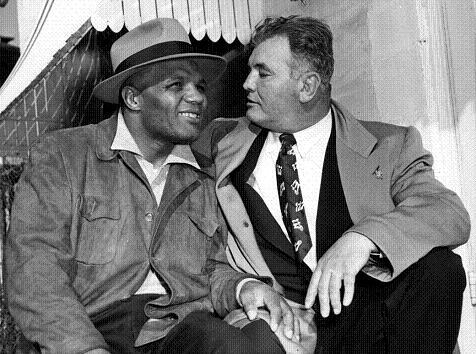 Joe gets some pre-fight advice from “The Cinderella Man,” James Braddock. So Marsillo hit upon what turned out to be the perfect gesture to give his prospect the boost he needed. It was December, just before Christmas, and it was cold. Marsillo convinced his money man, promoter Felix Bocchicchio, to help him buy a ton of coal for Walcott and his family. Marsillo delivered it personally, helped shovel it into Walcott’s basement and Jersey Joe was ecstatic. The security those black nuggets represented to Walcott and his family could not be overstated. Buoyed by his new manager’s faith in him, Walcott commenced training with renewed zeal. For Walcott, that ton of coal was the best Christmas present ever. From there, the old man’s career finally took off, a testament to what a little well-timed encouragement can do. He scored a series of big wins over Joe Baksi, Jimmy Bivins, Lee Oma and Joey Maxim, which in turn led, finally, to an overdue title shot. Robbed by the judges against Louis, knocked out in the rematch, still, Walcott refused to go away. After all, win or lose, he was finally making decent money. When Louis retired, Jersey Joe was matched with Ezzard Charles to decide the Brown Bomber’s successor, and he dropped a close decision to the former light-heavyweight and all-time great. But Walcott kept fighting, kept winning, got a rematch with Charles where he again dropped a 15 round decision, but this time he gave Ezzard the toughest of struggles and many thought Jersey Joe had been robbed again. So, four months later, in Pittsburgh, the two rivals met for a third time, Walcott a 9-to-1 underdog, because a win in a record fifth attempt at the world championship was deemed just too improbable, the stuff of fairy tales, not real life. But there was Walcott, looking as good as ever, asserting himself in the third round with a hard right hand that stunned the champion and cut his cheek. 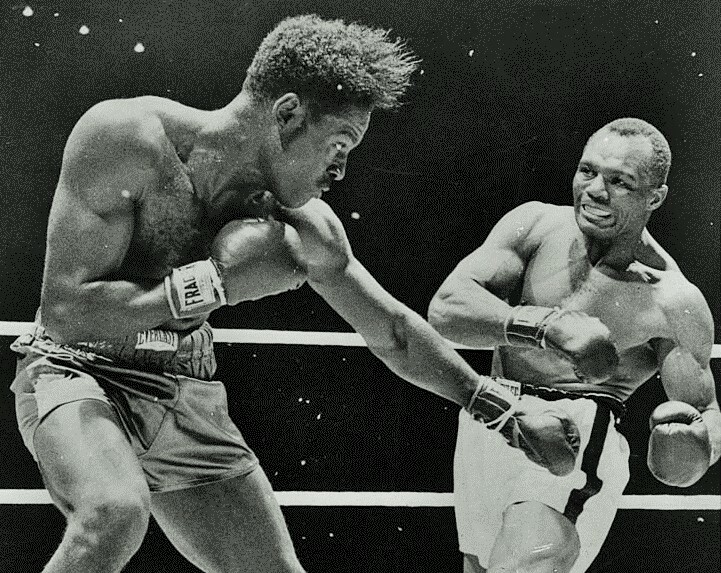 In the fourth and fifth he had Charles covering up and in the sixth Walcott started throwing heavy left hooks. 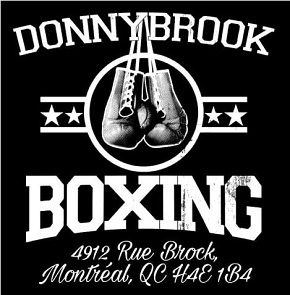 Fighting with more fire than he ever did in their first two bouts, most ringsiders had him winning by a clear margin as the seventh round began. Charles came out aggressively, trying to reverse the tide, and he backed Walcott into a corner where the fighters clinched. 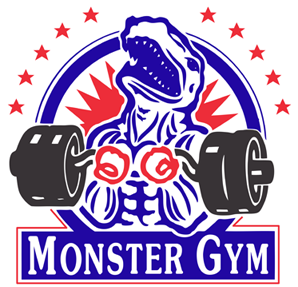 After the referee separated them, Walcott walked nonchalantly to ring center, as if he had nothing on his mind more menacing then taking an afternoon stroll to admire the summer flowers, and then, with perfect timing and rattlesnake quickness, he ripped a vicious counter left hook to Charles’ jaw. One huge shot and the fight was over. The champion’s head recoiled as he sank to a crouch and then he toppled forward, landing flat on his face. 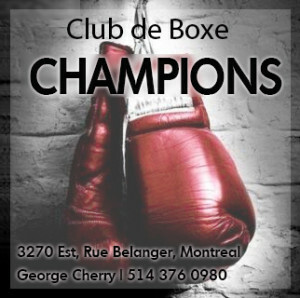 The champion made a valiant effort to rise but collapsed again as the referee finished the count. The capacity crowd in Forbes Field looked on in stunned disbelief. Few had seen the punch, it was thrown with such sudden sharpness, and few, if any, had expected such an ending. 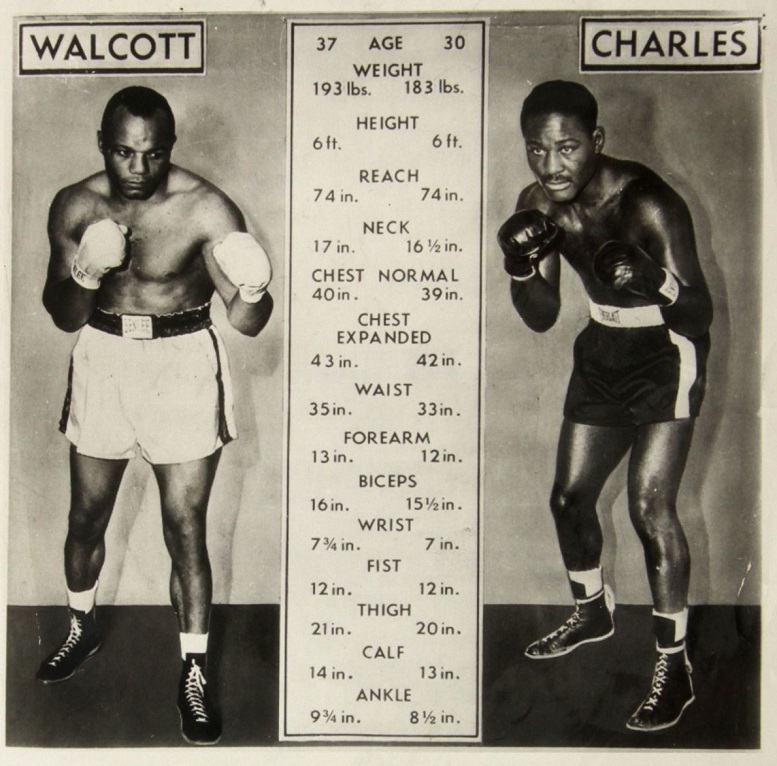 Most had anticipated the younger, fresher Charles winning another decision; virtually no one foresaw Walcott winning by knockout. An emotional Walcott accepts The Ring title belt from Nat Loubet. I recognize that walking uppercut; it’s the same one used by George Foreman so casually in so many fights. Incredible!